The world's first and only certified organic range of intimacy products, designed for maximum pleasure. This luxurious water based intimate lubricant from Yes is rich in natural ingredients to moisturise and condition the skin, enhancing sensitivity and intensifying intimacy. Ingredients: Aqua (water), Aloe Barbadensis (Aloe Vera)*, Cyamopsis Tetragonolobus (Guar Gum)*, Ceratonia Siliqua (Locust Bean Gum)*, Linum Usitatissium (Flax Extract)*, Phenoxyethanol, Potassium Sorbate, Xanthan Gum, Citric Acid. Aqua (Water), Aloe Barbadensis (Aloe Vera)*. Cyamopsis Tetragonolobus (Guar Gum)*, Ceratonia Siliqua (Locust Bean Gum)*, Linum Usitatissimum (Flax Extract)*, Xanthum Gum, Potassium Sorbate, Citric Acid, Phenoxyethanol. *Organically Grown Ingredients. Organic Flax extract which is particularly beneficial for the mucous membranes and three synergistic plant based gums „¢¤ Guar, Locust Bean and Xanthan, all of which contribute to the deep velvety texture. Food quality preservatives are included and citric acid to buffer the pH. The Yes Intimate Water-Based Organic Lubricant - 150ml product ethics are indicated below. To learn more about these product ethics and to see related products, follow the links below. Organic and vegan, so good for sensitive areas on your body, as well as kind to animals and the environment. 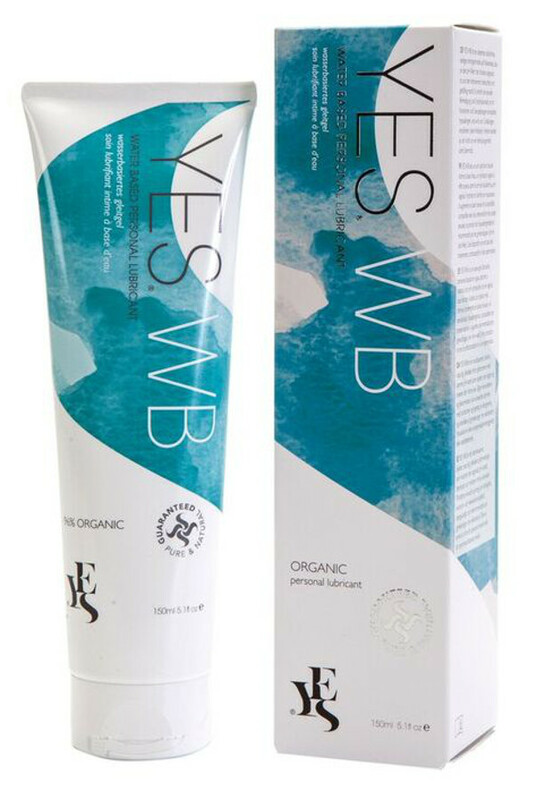 There are currently no questions to display about Yes Intimate Water-Based Organic Lubricant - 150ml. The founders of Yes® set out to create intimacy products which would outshine the category. It has taken three years of profound research and creative development to create lubrication which offer exceptional performance without compromising purity.